A manhole cover in Graz showing the city arms. It is not easy to spot but actually this Panther has flames from all of its body openings. The Styrian Panther is similar to this one but its horned and has only one flame from its mouth. 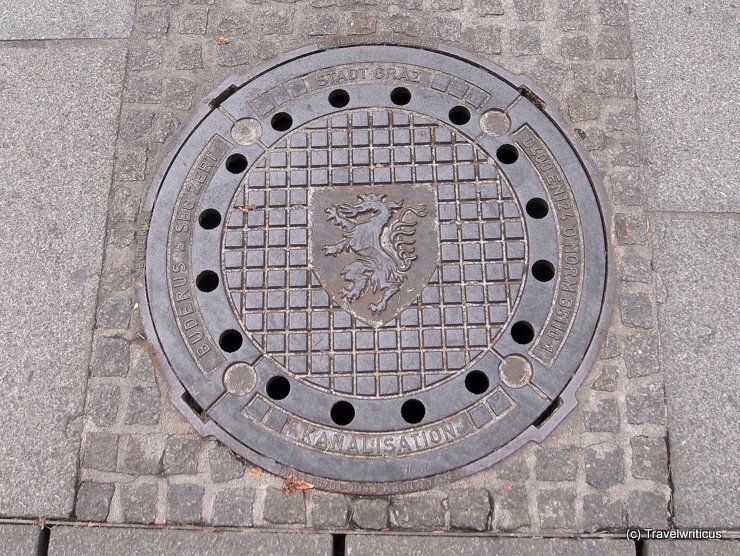 This entry was posted in Coat of Arms, Manhole Covers and tagged Austria, Graz, Styria by Travelwriticus. Bookmark the permalink.